Good news to all of us! The Sleeping Mask experts, Laneige has continue to expand their range with the addition of the Eye Sleeping Mask and new flavor variant for the Lip Sleeping Mask, hurray! Not clocking in optimal hours of sleep has become a common occurrence in today’s hectic world. While balancing proper rest with daily routines can be a challenge, many choose to dismiss the worrying effects that sleep deprivation causes. 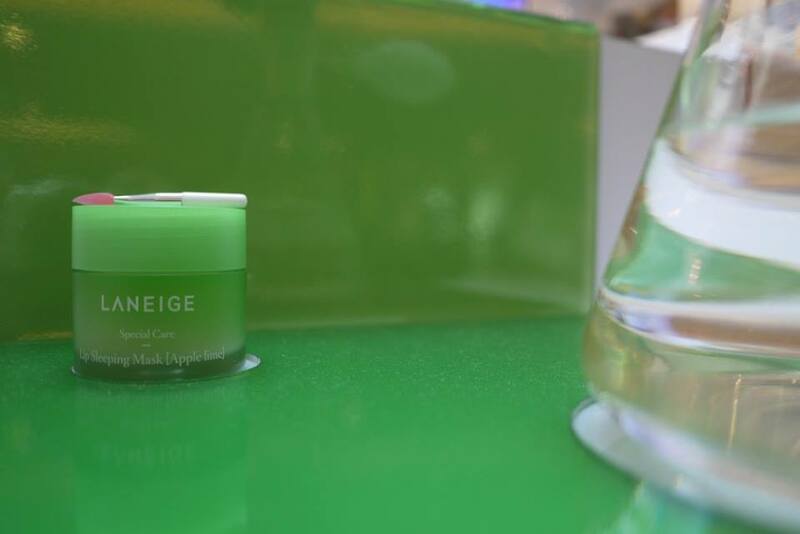 Studies have shown that a minimum of five hours of sleep is needed per night for the skin to replenish and rejuvenate. With the facial skin being thinner than the rest of the body’s, delicate care is vital. A direct correlation can be seen between sleep quality and skin condition. Depriving one’s skin of optimal hours of sleep results in deteriorating skin conditions. A research conducted by LANEIGE revealed that lack of sleep or sleep deprivation deeply effects skin moisture levels, texture, clarity and pore-related skin indicators – to name a few. Clinical researches have proven that without proper sleep, even for just a night, one’s skin is more likely to feel drier, and carry a dull complexion. During the night, the skin works to restore and repair itself from damages caused by a myriad of external aggressors during the day. With a good night’s sleep, the skin’s permeability increases, making it more effective when it comes to absorbing active ingredients. 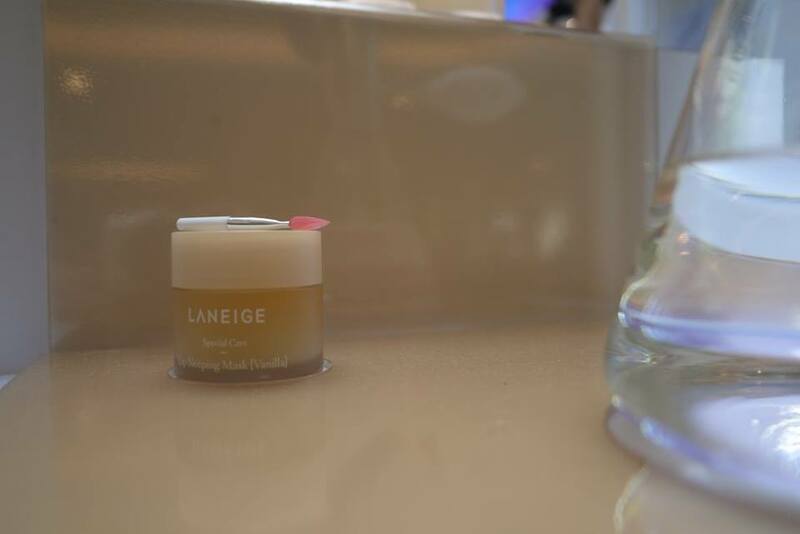 With Malaysian women becoming increasingly conscious of skincare, LANEIGE being the sleeping mask technology experts worked over the years to develop the best skincare solution for their customers. 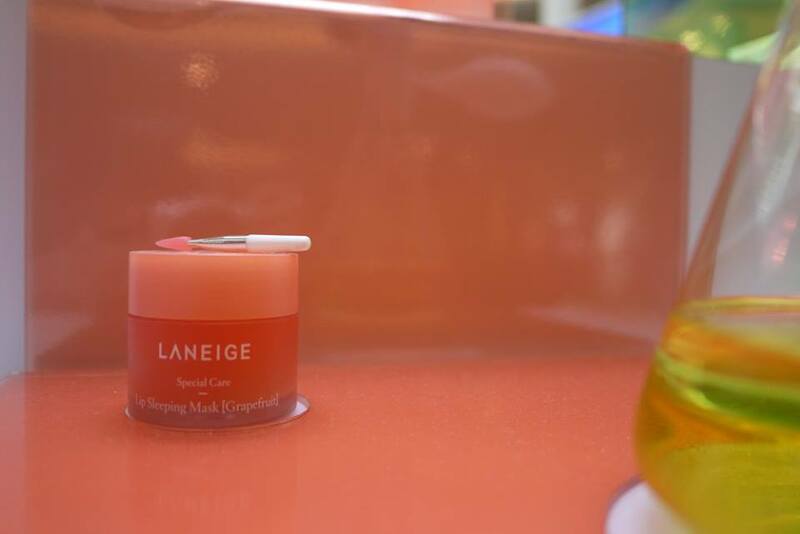 Formulated with the latest moisture locking technology, the LANEIGE sleeping range provides the optimum level of care not only for your face and lips but now has the total care covered inclusive of the new LANEIGE Eye Sleeping Mask. 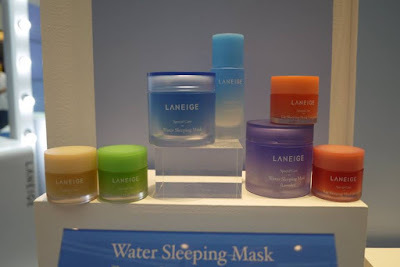 With LANEIGE Water Sleeping Mask, Lip Sleeping Mask and the All New Eye Sleeping Mask , radiant, brightand moisturized skin is just a sleep away. The Sleep-Tox™ Purification technology promotes clearer and revitalized looking skin. This technology works to restore and repair the skin as it is exposed to numerous damaging external aggressors during the day. Tapping into the optimum time to boost detoxification and purification functions in the skin, the Sleep-Tox™ technology, which contains Hunza Apricot and Evening Primrose extract, activates the purification genes and normalizes the skin fatigue rate caused by daytime stressors. This technology emulates a porous moisture film that locks in moisture to keep the skin, that can fall victim to dehydration, well moisturized. The active ingredients that it contains, such as Hydro Ion mineral water, Evening Primrose extracts and Hunza Apricot, are stabilized within the dense beta-glucan mineral network. Moisture Wrap™ also works to keep the active ingredient found in SleepTox™ well balanced, continuously feeding the skin with moisture for 8 hours through the night. Sleepscent™ relaxes the mind and body to promote deep sleep. Developed with an exclusively patented fragrance for LANEIGE, Sleepscent™ strengthens the skins regenerative ability that improves the quality of sleep by prolonging stages that denote deep sleep. It contains natural extracts of orange fruit, flower rose, sandalwood oil, and Ylang Ylang. The aromatic scent helps to soothe and relax the mind and body to bolster sleep quality. Sleep-Circular™ Technology The technology that contains caffeine, Vitamin P and enzyme extracts work to delicately combat the puffiness that forms around the eyes in the morning by promoting and increasing blood circulation underneath the eye zone during sleep. This helps the eye zone regain its outline without appearing swollen or puffy. The Sleep-Circular™ Technology aids in strengthening the skin barrier and revitalizes the skin around the eyes. With regular use, the skin around the eyes can be seen to brighten as well. The ceramic ball applicator that comes with the latest LANEIGE Eye Sleeping mask acts as a massager that is to be used before and after sleep. The mask, ceramic ball applicator and massage technique work handin-hand to create perfect synergy, resulting in enhanced eye zone area. Formulated with the latest Sleep-Circular™, Moisture Wrap™ and Sleep-Tox™ technology, the Eye Sleeping Mask improves circulation, hydrates, and purifies the delicate skin around the eyes to promote improved eye zone complexion. The SleepScent™ technology exudes soothing and aromatic lavender scent that exude through the bolsters sleep quality. The new LANEIGE Eye Sleeping Mask is packed with the latest skincare technologies and contains vitamin P (hesperidin) that acts to promote clean, flawless, and healthy looking skin around the eyes. How to optimize the benefits of Eye Sleeping Mask: 1. 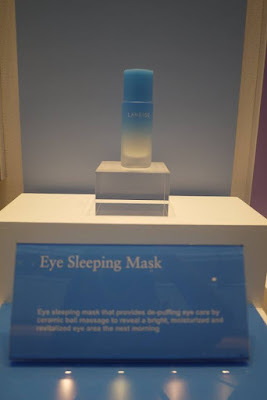 The Eye Sleeping Mask is to be used as the last step of your basic skincare routine and is to be used before applying the Water Sleeping Mask. 2. Application of up to two (2) to three (3) times a week is advisable for that extra special care. 3. Apply the Eye Sleeping Mask delicately under both eyes using the ceramic ball applicator in a motion that emulates the drawing of spots. 4. Use the middle and ring fingers to apply all over the eye area in a circular motion, beginning from the innermost corner of the eyes and gently moving towards under the eyes and above the eyebrows. This step is to be repeated three (3) times. 5. Finally, use the index, middle and ring fingers to lightly press the skin from right under the eyes, eyelid, above the eyebrows and up to temples to aid optimal absorption. *An important tip would be to keep the ceramic ball applicator clean by wiping it with a tissue after every use. The smooth glide-on gel texture that works to instantly moisturize and the rich emulsion texture that works to lock-in moisture helps give your eye zone best care it needs. The allnew LANEIGE Eye Sleeping Mask, priced at RM145 (25ml), andis available at all LANEIGE boutiques and beauty counters starting May 2017. 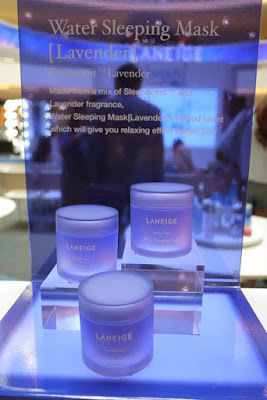 In line with the release of the Eye Sleeping Mask, LANEIGE is introducing the new limited-edition Water Sleeping Mask with Sleepscent™ lavender. The limited-edition Water Sleeping Mask Lavender that acts to purify, moisturize, and detoxify will be available in the all-new lavender scent with excellent relaxing effect that promotes deep sleep. This is the first scented Water Sleeping Mask edition that is released since the launch of the product, 15 years ago. The limited-edition Water Sleeping Mask Lavender is priced at RM120 (70ml) and is available at all LANEIGE boutiques and beauty counters from May 2017 to June 2017. Completing the expert sleep care range, 4 new flavour variants will be introduced to the Lip Sleeping Mask family. Formulated to lock moisture and vitamin C care in the lips through out the night, the Lip Sleeping Mask will now be available in Berry, Grapefruit, Apple Lime and Vanilla scents from May 2017 at all LANEIGE boutiques and beauty counters, priced at RM75 (25g) each.